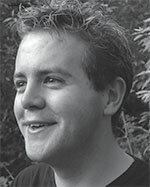 David Bednall is recognized as one of the leading choral composers of his generation and studied for a PhD in Composition with Professor John Pickard at the University of Bristol. He is Organist of The University of Bristol, Sub Organist at Bristol Cathedral, and conducts The University Singers. He was Organ Scholar of The Queen’s College, Oxford, held a number of posts at Gloucester Cathedral, and was Assistant Organist at Wells Cathedral. His teachers included Dr Naji Hakim and David Briggs. He won prizes in Improvisation and Performance at the examination for FRCO and a CD of improvisations with Malcolm Archer received excellent reviews. He has improvised on live radio, and performed extensively in the UK and abroad, including a recital at Notre Dame de Paris. He appeared as stunt-organist on Dr Who. His compositions are widely recorded, and the CD Hail, gladdening light was a Gramophone Editor’s Choice. The recording of his Requiem received similar accolades, and a further recording, Flame Celestial, received a Gramophone Recommendation. His largest work to date, Welcome All Wonders, was commissioned by The Queen’s College, Oxford, and their recording on Signum has garnered superb international critical acclaim. His Stabat Mater was recently premiered in New York and has been recorded for release in 2016, and his 40-part motet Lux orta est iusto closed the Bristol Proms 2015.